Are you frustrated that you aren’t seeing results? At American Family Fitness we believe the trick to seeing true results is circuit training. Come see us for a full-body workout and watch the fat melt away. Circuit training is a full-body workout that is fast, furious, and fat-burning. Work through alternating timed stations of strength and cardio activities to complete a circuit. With these short bursts of energy and little rest in between, you’ll continue to burn calories even after you’ve left the gym. Supercharge your routine! Are you looking for improved results? With the wide range of weight machines at our gym in Fredericksburg, the answer is circuit training. With small bursts of exercises, one after the other in a timed session, the goal of circuit training is to keep your body on its toes and to prevent hitting a plateau. Come in and try it out! Do you want to learn more about health and wellness? 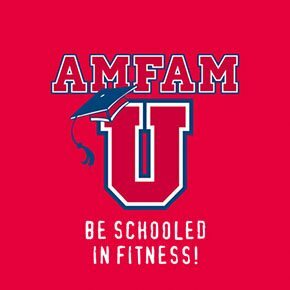 AmFamU is an 8-week program led by certified trainers who will coach you on the equipment, assist you in creating an exercise program, and help you identify and maintain your goals. Register and get started today. 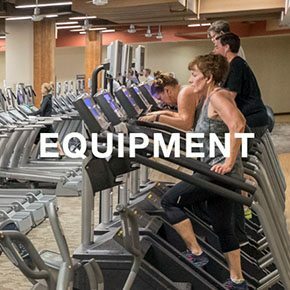 Members are top priority at American Family Fitness, and we want to ensure you have what you need. Programs include Strive, a full-body workout that will help you get the results you want, quickly. Coaches are available Monday - Friday from 6:00 am – 9:00 pm. 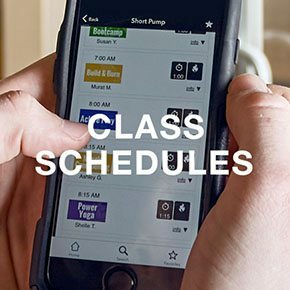 Check the Class Schedule page, or stop by the Welcome Desk at our gym, to learn more.